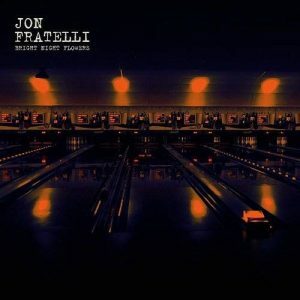 Jon Fratelli recorded this potent collection of songs some years ago, and shelved it in order to concentrate on The Fratellis. Times change. He resurrected and re-recorded them last year. And it’s as flawless an example of Fratelli’s craft as you’re likely to encounter. Like figures in a Vettriano painting, ‘Serenade In Vain’s richly textured characters dance past us in classic country waltz time. Fratelli’s emotional journey begins with this song, and we immediately know it is a journey we will enjoy . . . no dead ends, blind alleys, cul-de-sacs. This is the music we get when true sentiments elbow their way past the cheap sentimentality of so much modern pop and rock. There’s a wealth of sweetly spun, late nite romantic melody running through Bright Night Flowers. ‘Crazy Love Song’, ‘Dreams Don’t Remember’ and ‘Rolling By’ are sketched around a majestic piano, and are especially well observed. Each comes with its own compelling (Bowie-esque) breadth of expressive content, underlined by shimmering strings and a wealth of meticulously wrought detail. The understated, gorgeously downbeat title track, and the balladic ‘After A While’, full of minor chord heartbreak, take time to insinuate themselves into your affection. These songs, sweetly reflective and lyrically precise, illuminate the frailties of human relationships, low key torch songs on a dark night. But it’s Fratelli’s country rock ode to lost love, ‘Evangeline’ that has the most immediate impact. Tenderly shaped and carefuly harmonised, it’s full of hard found catharsis, and he wraps his voice in an atmosphere of such warmth and depth that we feel for him every step of the way. All in all this is high quality stuff, and realistically, Fratelli might even have his eye on the country/pop crossover charts with some of these tracks.